Like some kind of icy grape concoction in an upside down cone, these amethyst crystal cones are delicious! 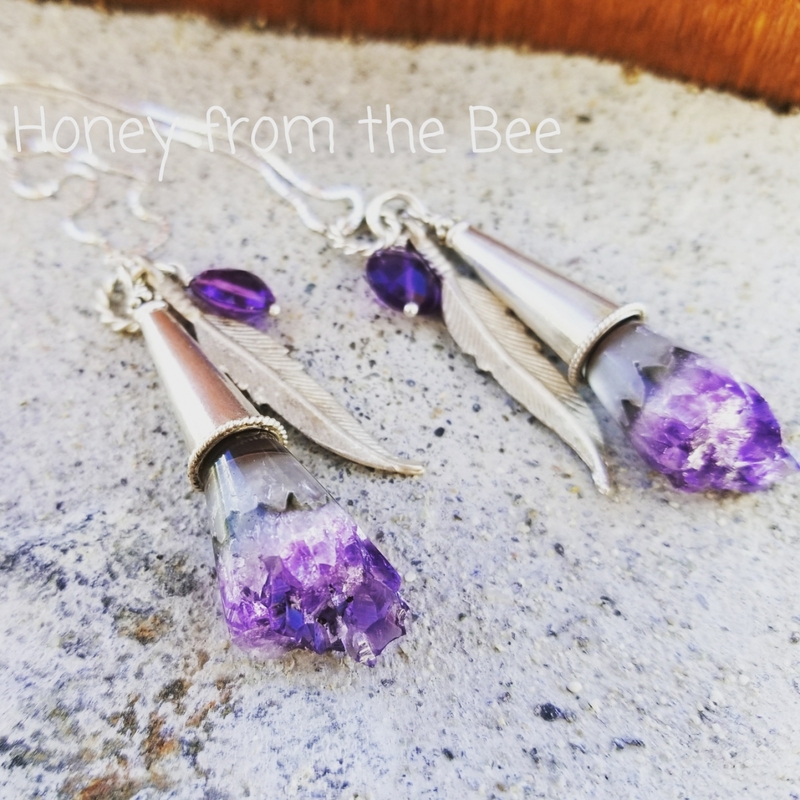 I've dangled them with a pewter feather and an AA rated amethyst drop to create an Amethyst Lover's Talisman! 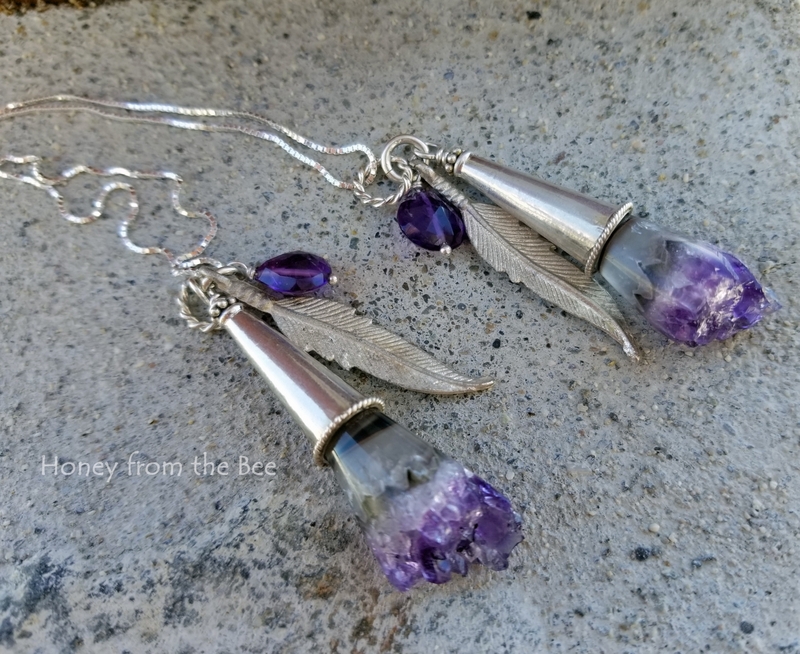 Other than the pewter (non-lead) feather and amethyst, everything is sterling silver. 22 inch Venetian box chain is adjustable to as small as you'd like. Each pendants is about 2 3/8" long from the top of the twisted jump ring to the tip of the crystal. NOTE: You are buying 1 pendant. There are only 2 available.